Photo courtesy of Offen Petroleum. Offen Petroleum, a leading independent fuel distributor in the United States, has signed a binding agreement to acquire the business assets of Overland Petroleum, a respected fuel distributor. Offen Petroleum is a portfolio company of Lariat Partners, a Denver, Colo.-based private equity firm. Offen is a provider of motor fuels, lubricants, and petroleum logistics services in the state of Colorado and 12 surrounding states. The combination creates one of the largest fuel distributors in the Greater Rocky Mountain region and will operate as Offen Petroleum. The transaction is expected to be completed in the third quarter upon completion of regulatory and closing conditions. Based in St. George, Utah and owned and operated by the Snow and Ipson families, Overland Petroleum is an independent fuel distributor that operates in the Greater Rocky Mountain Region. Overland controls its own fleet of tankers and currently operates in Utah, Arizona, Nevada, Idaho, Colorado, Wyoming, Montana, and New Mexico. In recent years, Overland has focused its growth by delivering branded fuel to independent convenience retailers. Overland has focused on the Sinclair brand but also offers Conoco, Phillips 66, and the brands licensed by Andeavor. 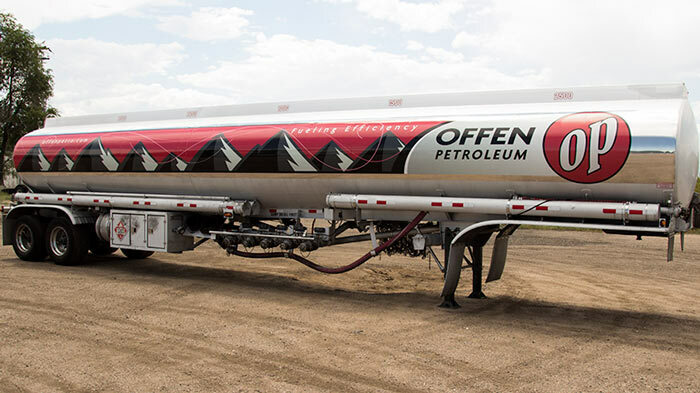 In addition to these branded relationships, like Offen, Overland distributes wholesale gasoline and diesel fuel to unbranded fuel retailers and commercial customers across the Rocky Mountains and Southwest regions of the United States. “This transformative acquisition nearly doubles the size of Offen and creates a leader in the greater Rocky Mountain region. Since partnering with Bill, Offen has outperformed our expectations with strong organic growth and continued investment in people and systems while maintaining industry-leading safety performance. The addition of Overland’s strong management team deepens our already strong executive bench and enhances our ability to continue growing. We continue to pursue acquisition opportunities that will strengthen our existing operations as well as penetrate new geographic markets,” said Jay Coughlon, managing partner at Lariat Partners.